This is a photo of me and my good friend Greg at the closing of Skate Legion skateboard shop. This place has had loads of Pro’s come through over the years. The first time I came to Portland in ’02, I met Greg and we have been good friends ever since. It was a sad day to say goodbye to my shop and to reflect on all the memories of the ministry that took place there daily through my friend Greg and his wife. 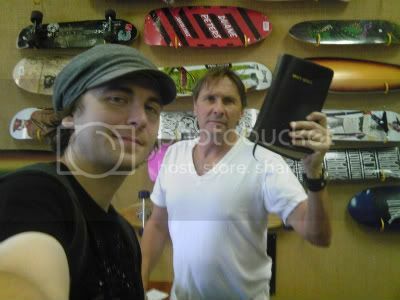 I love this photo because it shows the boldness of Greg holding the Word of God which was always in the shop. I’m excited to see what God does with Greg and his wife in the next chapter of reaching our city for Christ.